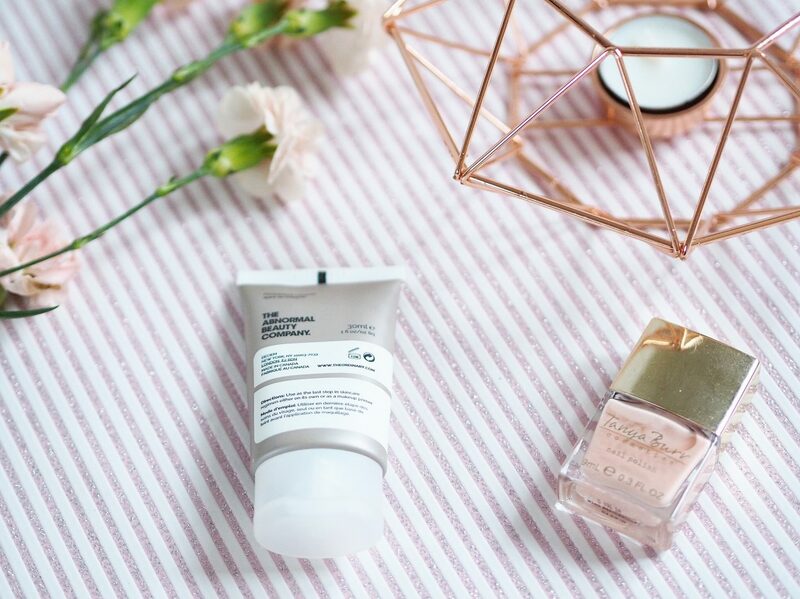 I think it’s safe to say I am obsessed with base products, including primers and foundations, as recently it’s all I’ve been buying at the moment! 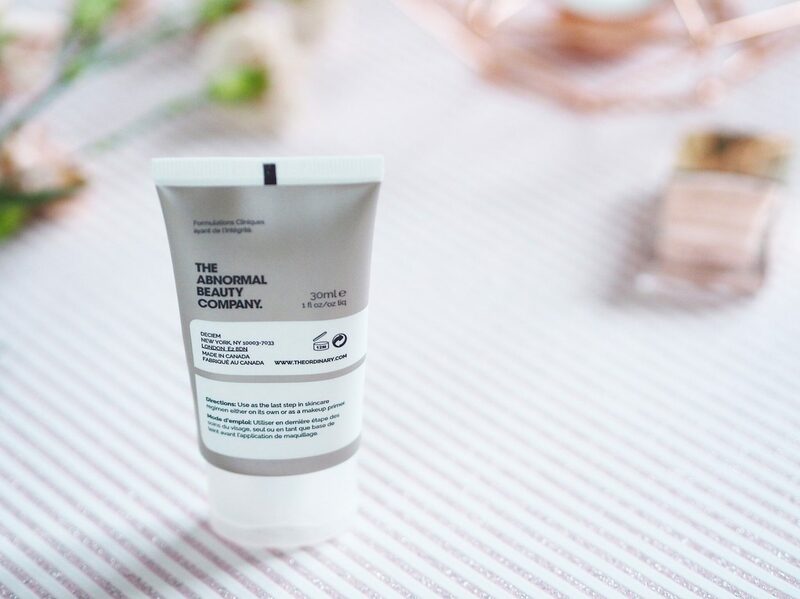 You’re probably all fully aware of The Ordinary skin care products (and make up) although they are pretty new, there has been quite a lot of talk about the range already. I think largely due to the fact the prices are very reasonable and the products are lets say…..pretty strange (but I like them). You can find it on ASOS here, for £4!! As as you can see, directions are pretty simple…. you know slap it on before your base make-up. The Ordinary claim that this primer is used for make up that looks higher in definition and last longer. It also states it reduces the looks of pores and imperfections. Now, to be completely honest, I think its hard to tell whether a primer is really good or not because there are so many other products you put on top of it, it really is hard to tell. All I can say is that this primer feels really nice on your skin. It looks almost like a moisturiser, and I guess feels a little like one too, but its not too sticky or wet if that makes sense. I feel like my make up has been staying on really well recently, but that may be because of my £4 foundation that I’m loving (you can read the post here) and also the fact I use setting spray! However, overall for £4 I’m really liking priming my skin with this product, and I’m really intrigued to try out even more of their products! Have you tried the range and is so whats your favourite? I have heard so much about The Ordinary products and I can’t believe how cheap the products are. I might have just added the primer to my ASOS wishlist. 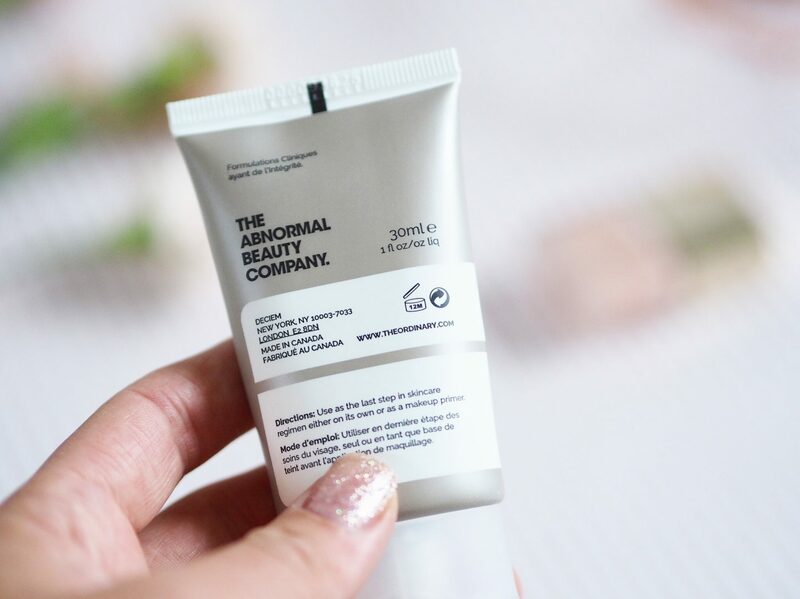 I am loving this brand so far, the primer sounds great. Silicone primers always work super well to keep my makeup in place. I agree, it’s so good! I love it ?? I still haven’t got round to trying mine but from what you’ve said I definitely need to give it a go. I love that their products are so affordable and I actually love the packaging of them too they look much more expensive I think! Also gal, I just cannot get over your gorgeous photos! There’s definitely a lot of buzz around their products, especially one of their foundations that sold out and is coveted by EVERYONE. I’m interested to try them out myself after reading this. Ohhh interesting, I’ve never heard of this brand before! Definitely worth a try for that price! I totally agree – I can never truly figure out if a primer is good or not bc of all the things you put on top of it, but this seems really affordable! This is one of The Ordinary products I hadn’t heard much about, I’m using up my Porefessional at the moment but this sounds nice. Love how The Ordinary are so affordable but have such a great reputation. Ps AMAZING photos. Go you with your new Olympus, so jealous!! ?? ?